An in depth guide on how to use, when to use and what to use when considering fibreglass or epoxy work. Running through the beginners stage to gelcoat repairs, epoxy systems, mould making and more. 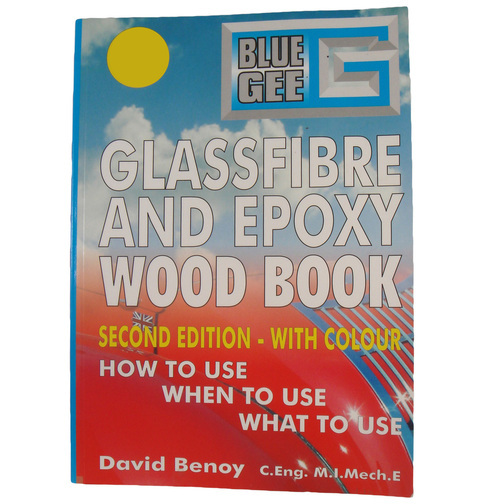 The Blue Gee Glass Fibre and Epoxy Wood Book is an in depth guide on how to use, when to use and what to use when considering fibreglass or epoxy work. Running through the beginners stage to gelcoat repairs, epoxy systems, mould making and more. Beginners - What is Glassfibre? With examples, notes and tips. Polyester Systems & Gelcoats - What are they? Overview of gelcoat repairs, colour matching, laminate repairs and car repairs. Epoxy Systems - What are they? Mixing, fixing and glueing, wood reinforcement, laminating on to various materials and working with metals. Fillers, Cores, Reinforcements - A detailed guide on fillers, sandwich panels, core materials and reinforcements. Osmosis in Glassfibre - Introduction and description with insights into inspection, prevention and repair. Mould Making & Moulding - The basics of making small and large moulds, including shape design, mould releasing and moulding in wood formers. Engineering Design - Introduction to reading drawings, estimating quantities, product/structure design, strength guides and composite resins. Job Information, Safety & Tips - Including a glueing (adhesion) guide, safety guidance, transport guidance, error fixing and how resin systems work. 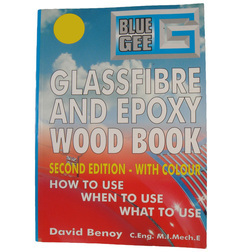 Glossary - An in depth glossary of terms related to glassfibre and epoxy work. This second addition was published in March 2004, updating the previous edition written in 1996. This edition has several colour photographs along with graphs, tables and various data to help with the very basic fix to a major project.